(TibetanReview.net, Mar12’16) – For expressing worries about Tibetan youngsters being unable to gain fluency in their own language under China’s current education policy in his Sina Weibo account postings, China has detained a Tibetan entrepreneur and rendered him disappeared since Jan 27. Chinese law allows police to generally detain a person for 30 days before officers must ask prosecutors to bring charges or release him. However, Tashi Wangchuk, 30, has still not been released, rendering his detention illegal, reported nytimes.com Mar 10. In his microblog posting, Tashi Wangchuk, who lives with his parents in the Yushu town in Qinghai Province, has highlighted the dearth of meaningful Tibetan language education and expressed concern that many Tibetan children were unable to become fluent in their native language, a widespread worry in the ethnic group. The report said Tashi’s family had tried contacting the Yushu police and the town’s main detention centre, where relatives believe he is being held, but officers have not given them a reason for the detention and have also not let them see him. The report cited a senior police officer in Yushu, Chief Zhang, contacted by phone, as saying his unit, the guobao, was handling the case. However, when asked for more details, he has said he needed to verify whether the case his unit was handling was indeed the same person. His last item, on Jan 24, was a repost of a comment that urged the legislature and legislative advisory committee of Qinghai Province to enhance bilingual education and hire more bilingual civil servants, the report said. The report noted that Tashi’s views were published in an article in The New York Times in Nov 2015. He was also the subject of a nine-minute documentary that The Times produced about his efforts to use legal means to bolster Tibetan language education. He was again quoted in an article in Dec 2015 that looked at how Chinese officials in Tibetan areas use horse festivals for propaganda purposes. The report also noted that in an interview last year, Tashi had said that he was not advocating Tibetan independence; rather, he was mainly concerned about cultural preservation. He travelled to Beijing that year to seek legal help in filing a lawsuit against local officials, but has not been able to make progress in filing. 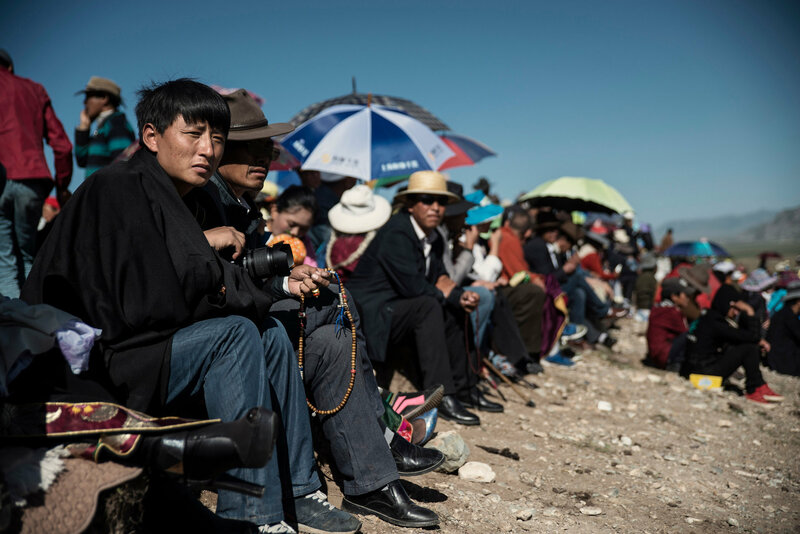 In most schools in Tibetan regions, the native language is taught in a single class, similar to foreign-language education in the United States; Mandarin is the main teaching language, the report noted. Tashi was detained briefly twice before. More than a decade ago, he was arrested after he was caught trying to travel illegally to India. And in 2012, he was detained for posting online comments that criticized local officials over land seizures. For his livelihood, Tashi was managing a shop as well as using Taobao, an Alibaba platform, to sell goods from his native region to buyers across China. His merchandise included caterpillar fungus, harvested on the Tibetan Plateau, which is popular in Chinese medicine. In 2014, Alibaba featured Tashi in a video for its investor roadshow before a prominent initial public offering, the report noted.